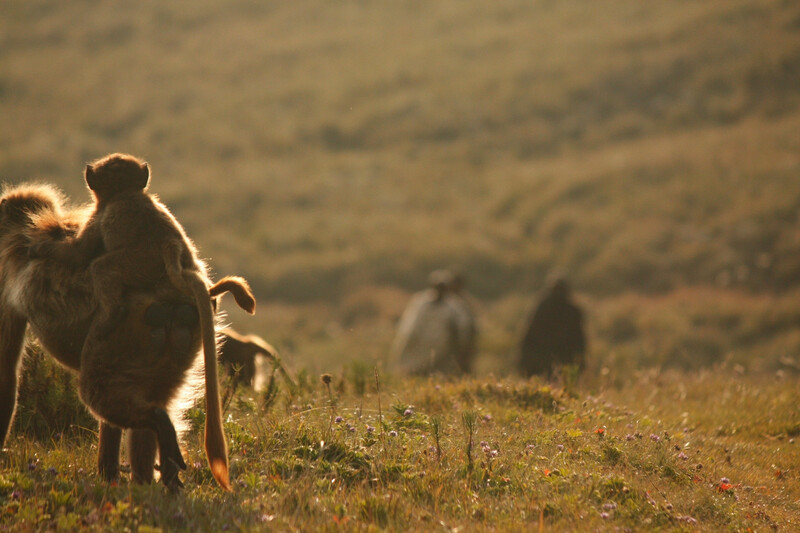 I co-managed the Guassa Gelada Research Project on Gelada monkeys in the Ethiopian Highlands for 13 months in 2010-2011. 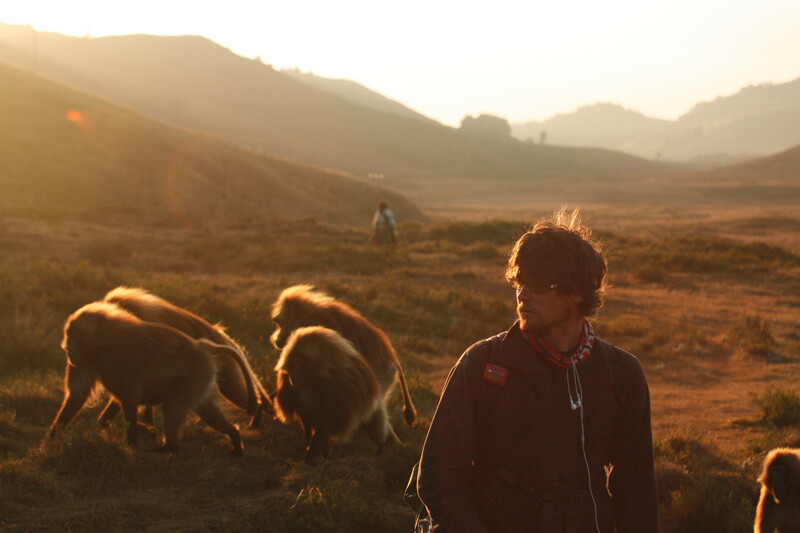 I conceived of a PhD project on landscape ecology, climate change and extinction risk during this experience in a threatened montane ecosystem. Human population pressure increases as climate change continues, warming the globe. 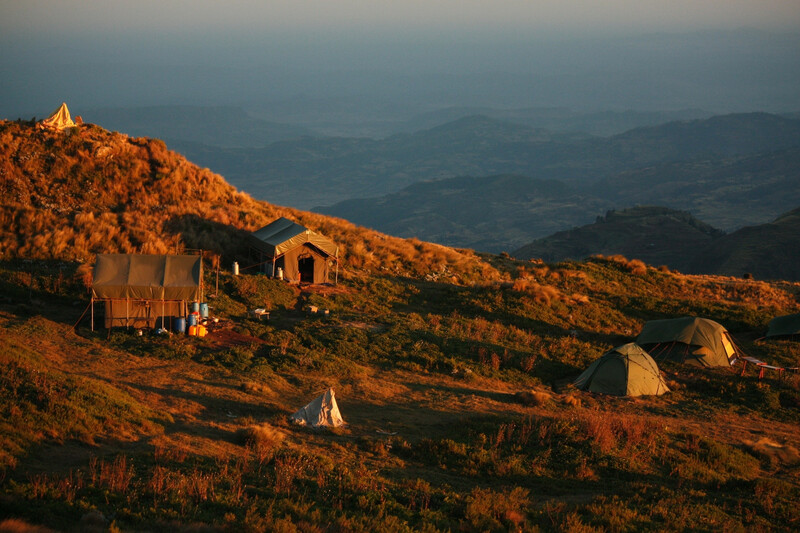 Settlement and agricultural land use conversion continue unabatedly upward into mountain ranges. 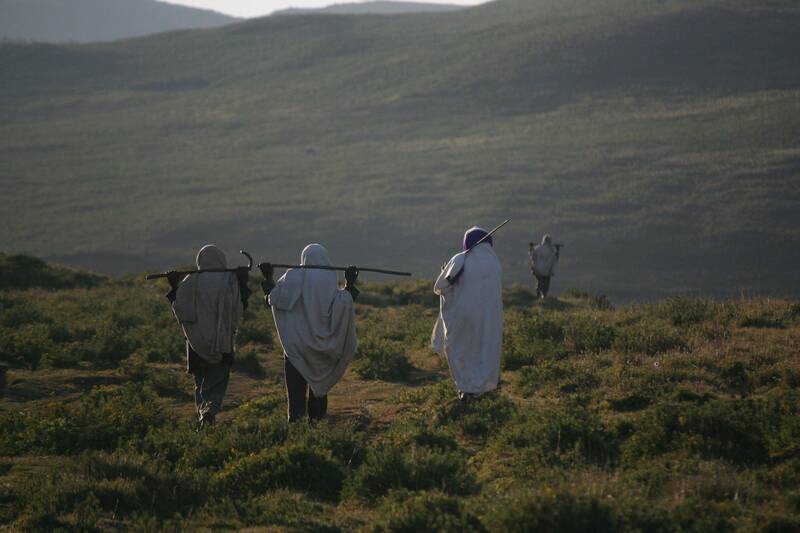 This is particularly true in the Ethiopian Highlands, where the afroalpine biodiversity hotspot has been restricted to 3% of its original extent due to a tenfold increase in human population in the last 70 years. The remnant "islands" of afroalpine habitat now exist in a matrix of cropland and semiarid degraded savanna. 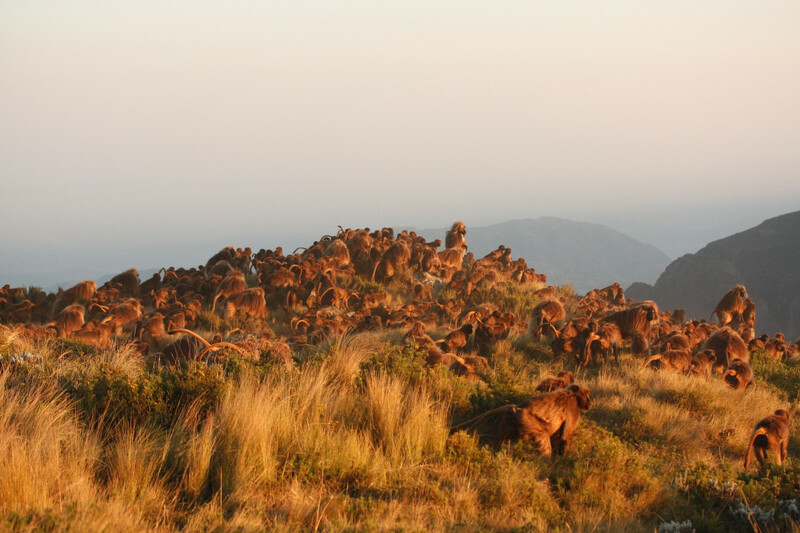 Species such as the Gelada baboon and the critically endangered Ethiopian Wolf must deal with these and more formidable obstacles such as the Great Rift Valley. 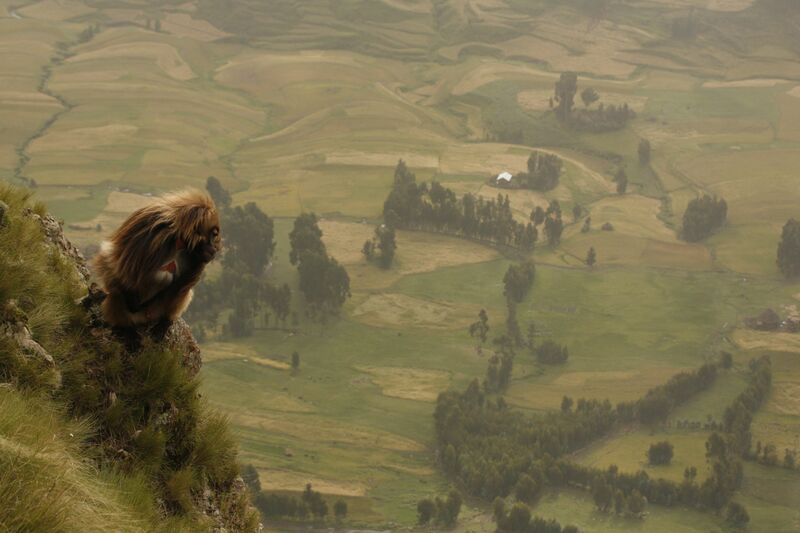 I am currently planning a biogeographic study to document species' responses to this fragmentation in the Ethiopian Highlands by determining their abundance and relative dispersal capacity. 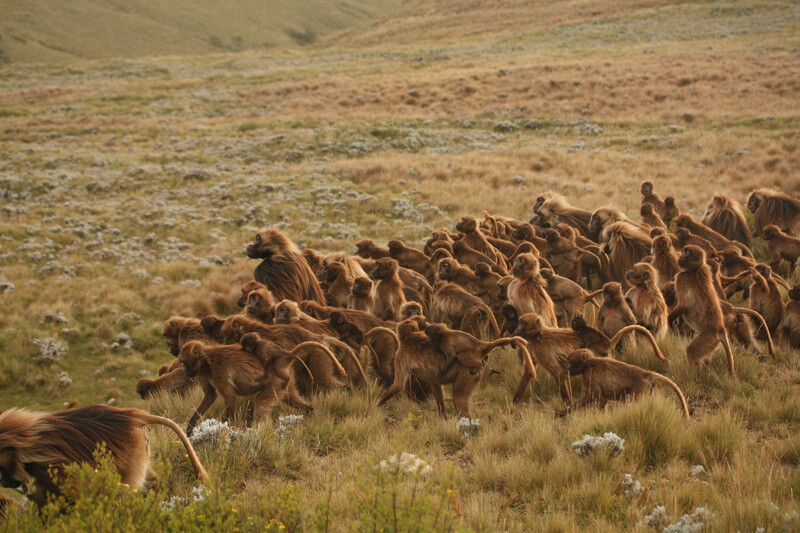 Obtaining an estimate of dispersal capacity is integral as it must be included into models predicting a species' ability to track shifting ranges as climate changes in order to accurately estimate extinction risk. I will base my operations at the Guassa Community Conservation Area, where I managed a research project for a year, and likely the least degraded tract of remaining afroalpine habitat. Guassa's pristine nature is due to a 400-year old indigenous conservation initiative regulating resource extraction and limiting human settlement. 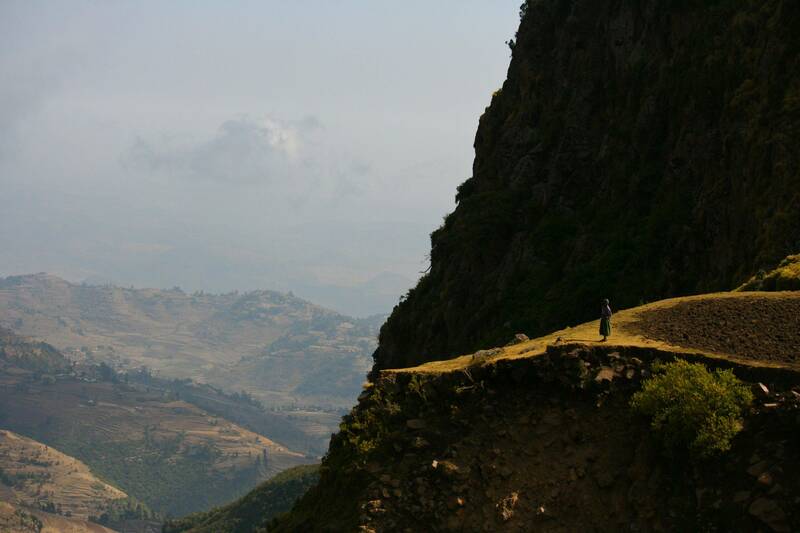 Conducting my research in this area and others of varying levels of degradation will allow for a comparison of management systems to determine the type and location of future conservation regimes in the Ethiopian Highlands.